A classic, sophisticated look here. 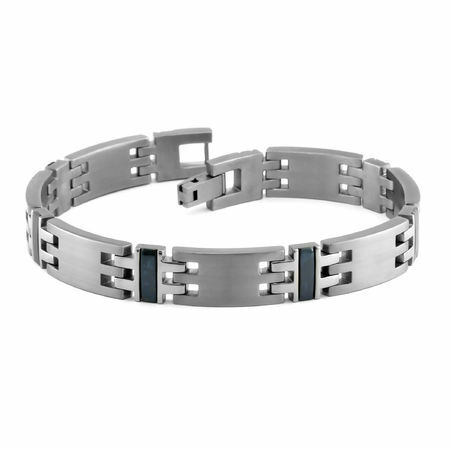 This bracelet will look great with blue jeans or with a business suit on. 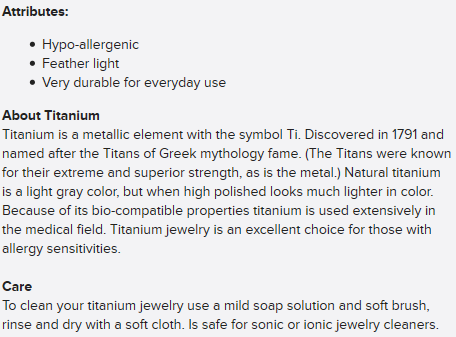 The width of the titanium bracelet is 10mm. Commercially pure titanium accented with the almost ceramic Black Titanium. Good seller for men who like a refined look. Measures 8" long.